Justin Hannah's award-winning short film "Consignment" has been named an Official Selection at the 2015 Alhambra Theatre Film Festival, taking place April 9-12, 2015 in Evansville, Indiana. 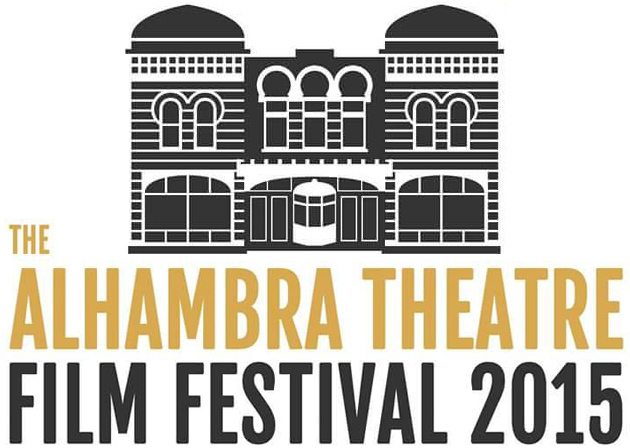 The four-day Festival will benefit the historic Alhambra Theatre, which is one of the oldest theatres in the United States, having opened in 1913. Events celebrating ATFF will take place at various locations in Evansville, and the Festival itself will feature 123 films from a variety of genres. Special guests to the Festival include director Eduardo Sanchez and producer Gregg Hale of The Blair Witch Project. "Consignment" is a stylish period drama written and directed by Justin Hannah, starring Abbra Smallwood, Margaret Wuertz, Jake Gilliam and Jessica McGill, with cinematography by Lee Clements and music by Robert Casal. Described in reviews as "an alluring, multi-layered film experience" and "a beautifully realized, thought provoking short film," the movie has drawn comparisons to Alfred Hitchcock and David Lynch. "Consignment" won awards for Best Cinematography at the 2015 Blaquefyre Independent Film Festival, Best Kentucky Short at the 2014 Autumn Shorts Film Festival, Best Short Film at the 2013 World Independent Film Expo, and Most Original Film at the 2013 Floyd Film Festival. Justin Hannah's "Consignment" is now available for instant streaming on Hulu and Hulu Plus, Amazon Instant Video, Vimeo On Demand, and IndieFlix. © MANIC BABY STUDIO. ALL RIGHTS RESERVED.